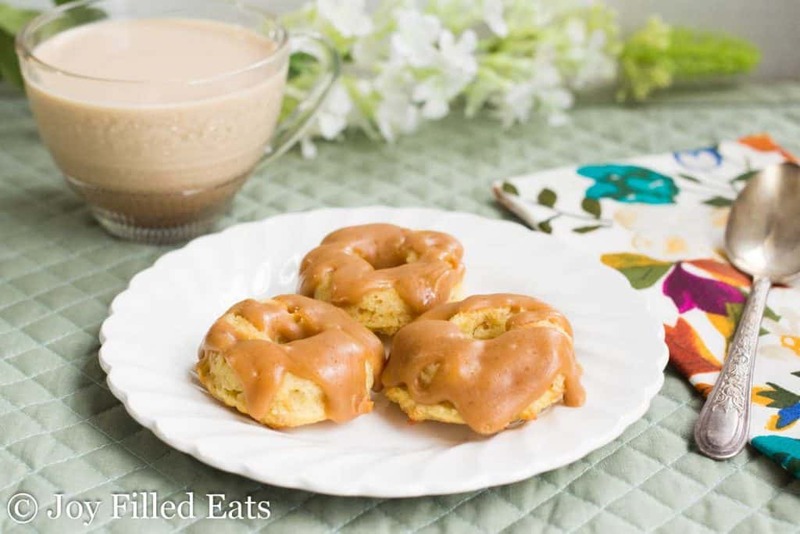 These Mini Brown Butter Caramel Donuts are the perfect addition to your Easter or Mother’s Day brunch. 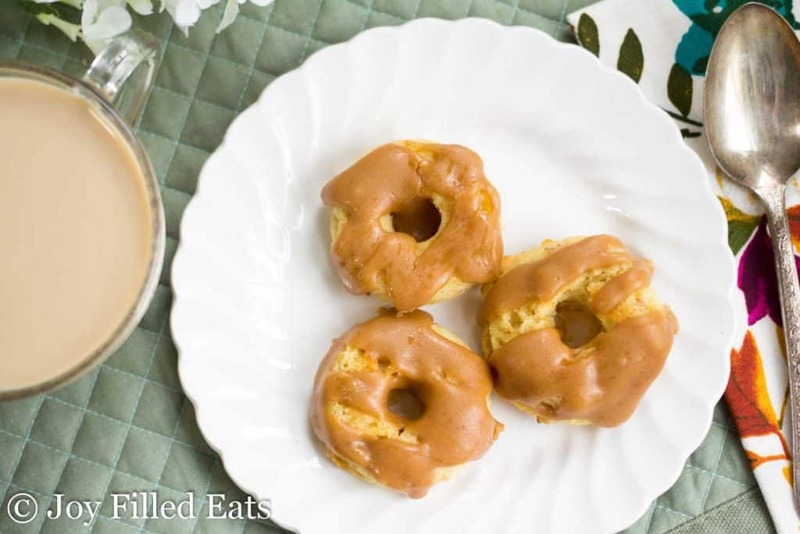 The donuts are light and moist and the browned butter caramel topping is rich and sweet with a hint of salt. I love brunch and the best part of brunch is the sweet treats served. Danish, coffee cake, sticky buns, donuts… I am a fan of all of them. My favorite holidays are when we go to church for the vigil the night before so we can hang out in our pajamas and have a leisurely brunch the day of. I normally prep an easy egg bake a day in advance, make a big tray of bacon, toss together a fruit salad, and bake a yummy brunch dessert to go along with our coffee. 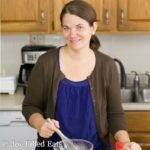 My first cookbook was a brunch cookbook and this is why! It only takes a few minutes to turn regular butter into brown butter. 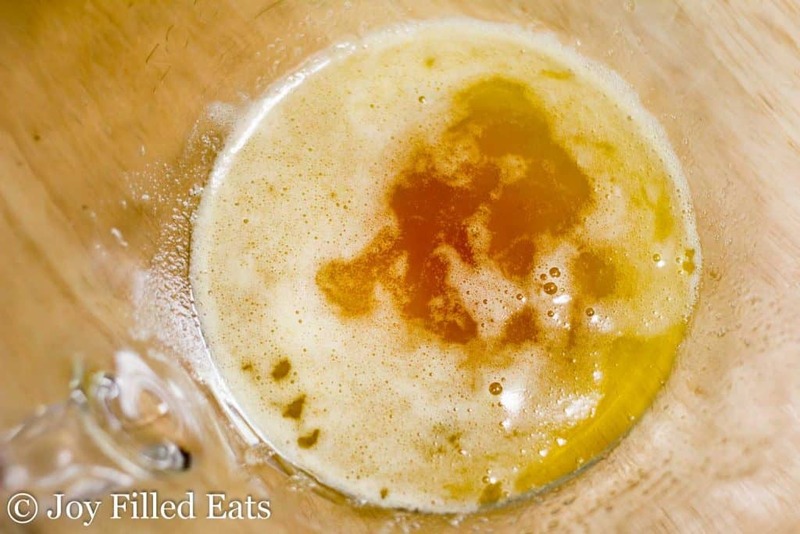 All you do to make brown butter is heat it in a saucepan until it is golden brown, hence the name, brown butter. Browning the butter gives it a richer flavor. Ground Golden Flax – Flax has a ton of fiber and the golden variety has a very mild taste. You can use the golden flax or sub in additional almond flour for this ingredient. 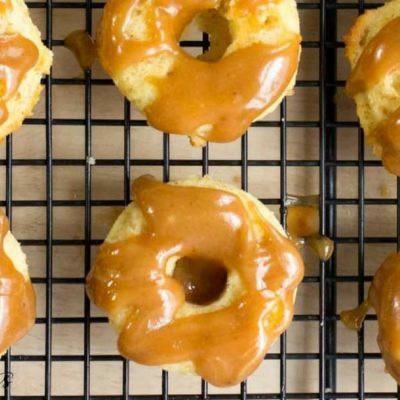 It is very easy to make brown butter caramel for the caramel donuts. The most important thing is stirring frequently and not forgetting about it. If you leave the kitchen to do another task the caramel can easily burn. I’ve made caramel dozens of times and can tell by the smell when it is almost done. It will start to smell rich and fragrant and like caramel. The color changes and it thickens. There may also be a few darker bits forming at the very bottom. Those will look almost burned. This is when you remove the caramel from the heat. Note: This makes a very generous amount of caramel. You will only use about half on the donuts. You can half the caramel ingredients if you prefer but when I make caramel I always make extra. The caramel will firm up in the fridge until the consistency of a praline. Simply microwave in 30-second increments, stirring after each to get it back to a sauce. Always fill the donut wells 2/3 full. You may end up with more or fewer donuts than the recipe states. Donut pans can vary in size so the most important thing is getting nice thick donuts. Use a silicone donut pan. I have not had success with metal donut pans but my donuts pop easily from the silicone pans. 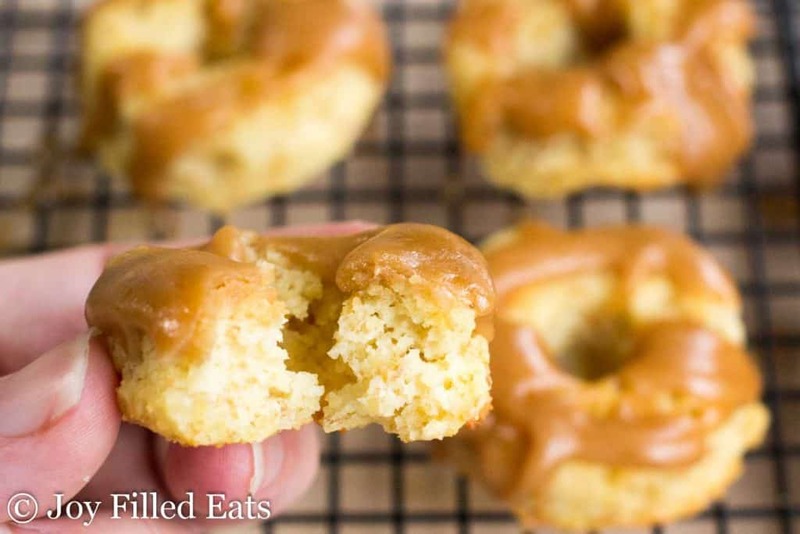 Cool the caramel donuts completely before trying to remove from the pan. If you’d like your donuts warm it is easy to reheat them in the microwave or oven. But trying to get them out of the pan when warm doesn’t work. 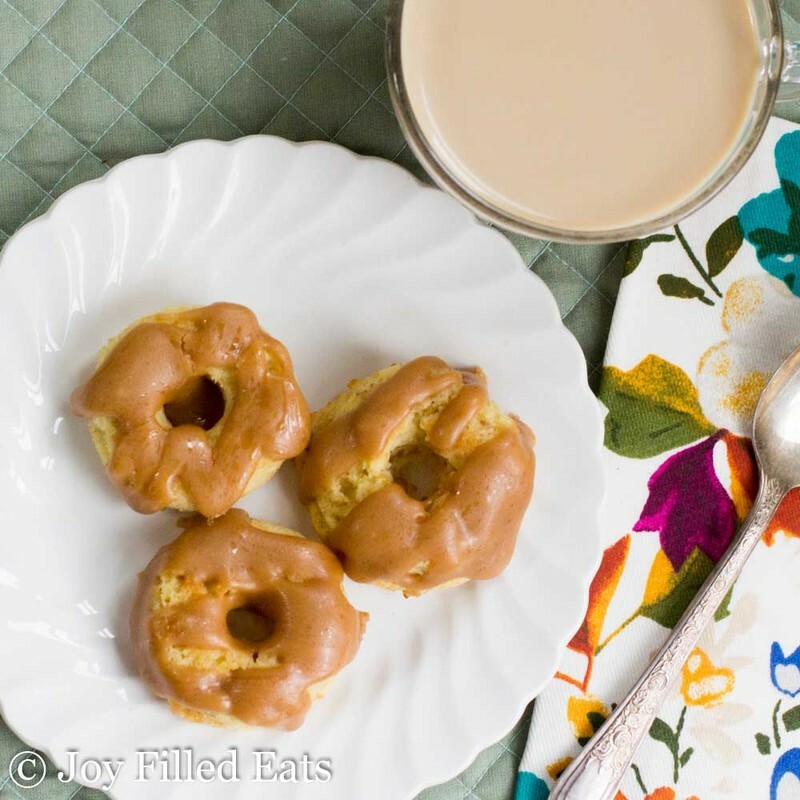 These Mini Brown Butter Caramel Donuts are the perfect addition to your Easter brunch. 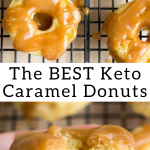 The donuts are light and moist and the browned butter caramel topping is rich and sweet with a hint of salt. Preheat oven to 350. Generously spray a mini donut pan with cooking spray. To brown the 2 tablespoons of butter for the donuts simply heat the butter in a small saucepan until it is golden and fragrant. Transfer to a mixing bowl and let cool for 5 minutes before proceeding. Bake for 25 min. Cool completely and invert onto a cooling rack. Meanwhile, to make the caramel heat the butter in a medium saucepan until golden and fragrant. Add the sweetener and 3 oz of the heavy cream. 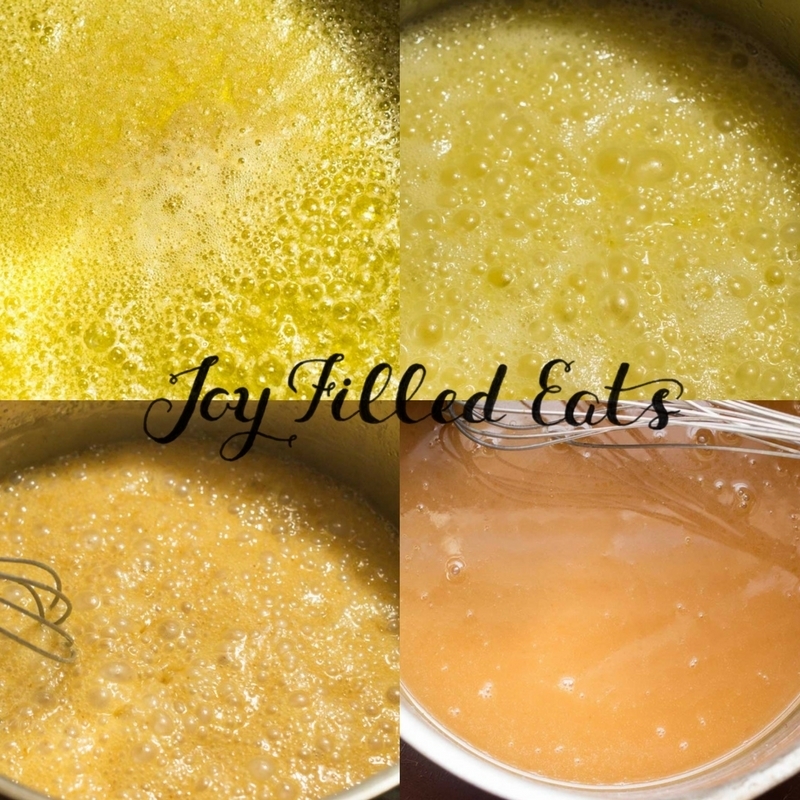 Cook over medium-low heat until bubbly, slightly thickened and lightly browned. Remove from the heat and add the last ounce of cream and the salt. Cool for about 10 minutes or until thickened further. Cooling too long will make the sugar alcohols crystallize. You want this about the same consistency as jarred caramel sauce. 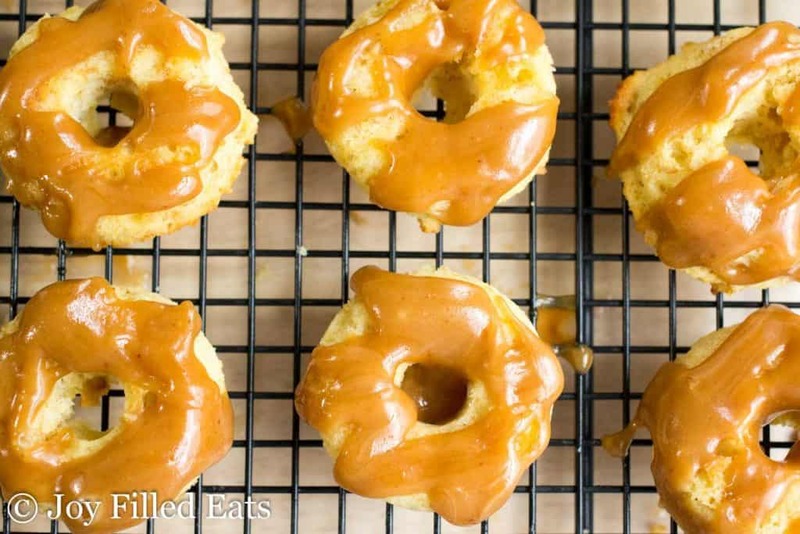 Drizzle the caramel over the donuts. Serve immediately. This makes a very generous amount of caramel. You will only use about half on the donuts. You can half the caramel ingredients if you prefer but when I make caramel I always make extra. The caramel will firm up in the fridge until the consistency of a praline. Simply microwave in 30-second increments, stirring after each to get it back to a sauce. Originally Published April 11, 2017. Revised and Republished April 22, 2019. Did you use a mini donut pan? It is important to fill the wells even if you get fewer donuts. These pans vary in size a lot. Can these be made as full size donuts? 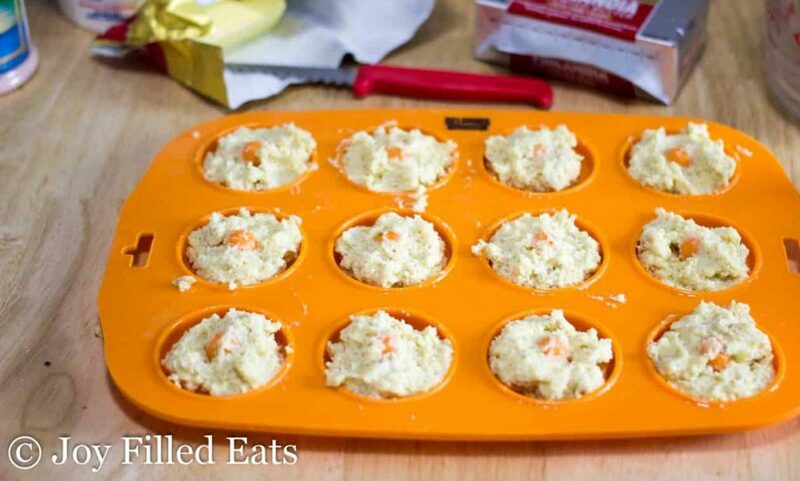 How would I adjust the recipe if so? Yes. They just need a bit longer to bake. Perhaps an additional five minutes. I would just bake until they are golden. The recipe calls for 1/2 cup of cream but in the directions it says 3 T. When do you add the rest of the cream? With the salt. Sorry! Going to edit now. I was wondering as well- 3T plus 1T is only 1/4 cup hevy cream total. Thanks for catching that. It should say 3 oz and 1 oz. I just edited it.